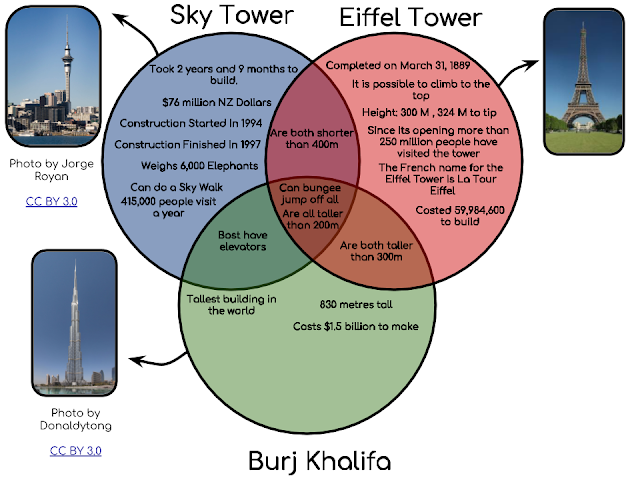 This term, our inquiry focus has been on structures. We have been doing many activities based around this topic, and this activity was about towers. Our task, was to compare 2 different towers with our well known Sky Tower. This task had to be done in pairs, although we had to choose someone from Mrs Anderson's group to work with. So for this activity, I chose to work with Aung Naing. We had a lot of fun working together for this activity, so I do hope that next time we work together, it'll be twice as fun.